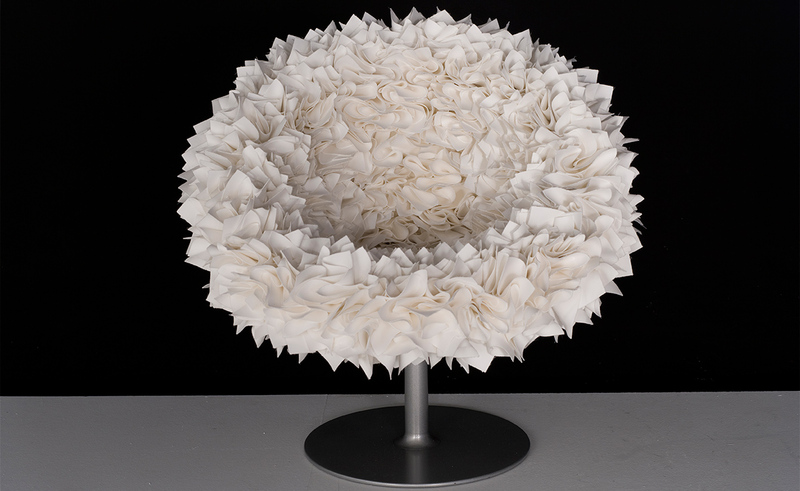 Sublime simplicity for this innovative, amazing design by Tokujin Yoshioka. 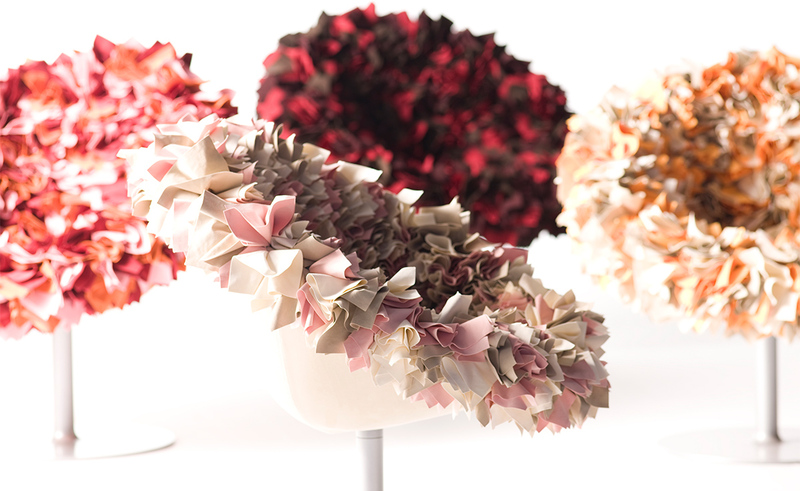 "I got the idea for Bouquet from the installation I created last October for Moroso's New York showroom. 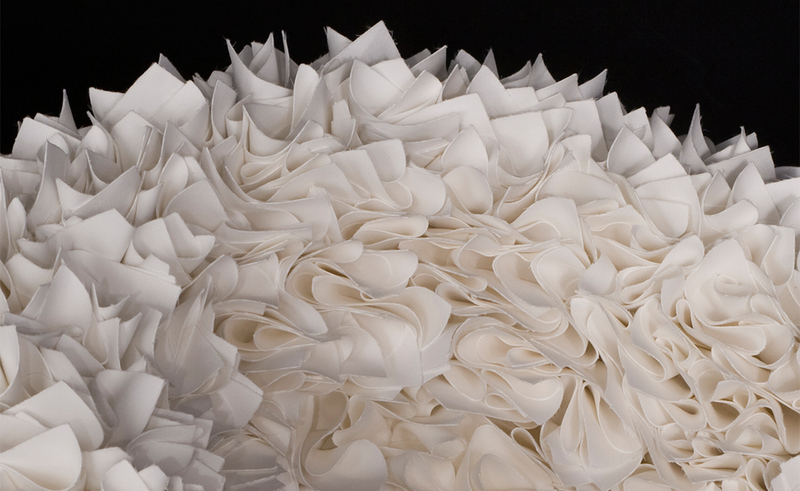 I used about 30,000 paper tissues to recreate a cloud-like atmosphere. 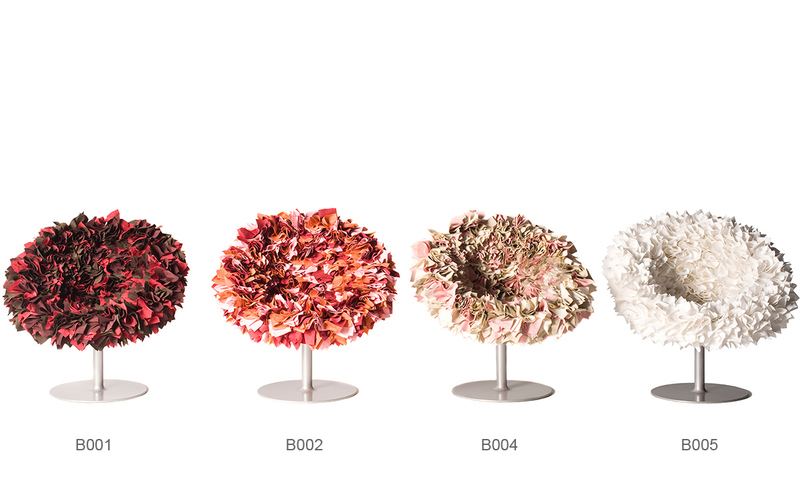 The Bouquet makes people who sit on it happy, just as a bouquet makes the person who receives it happy. The vibrant, delicate colors trigger different sensations in each of us." 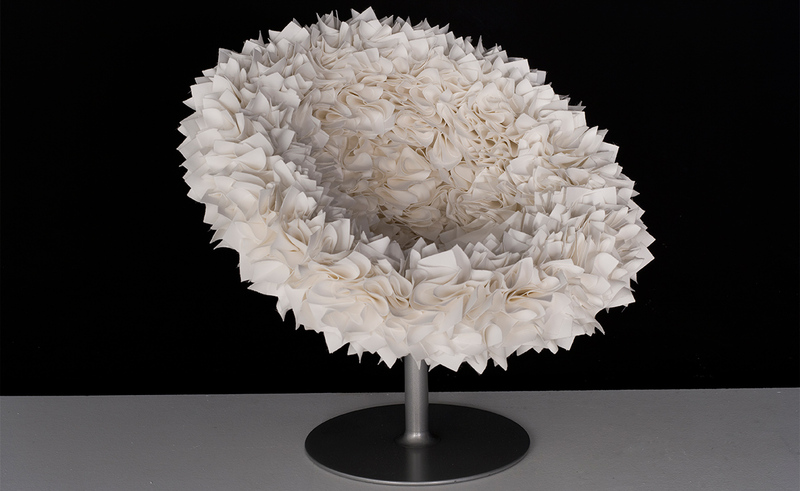 The Bouquet chair "blooms" on a slim, chrome-metal stem that blossoms with white or delicately-colored "petals" made of hand-folded fabric squares sewn one by one, with great care and infinite patience, to completely cover the internal surface of the egg-shaped, wrap-around shell. Tokujin Yoshioka, is a great "couturier" with a meticulous eye for detail, he is a designer whose delicate, poetic, elegant designs help us to dream. He likes to astonish us by producing surprising effects from simple, almost banal objects which he interprets and uses in an extraordinary way by means of his ability to see beyond and to reinterpret the world through the characteristic poetry and harmony of Japanese culture. 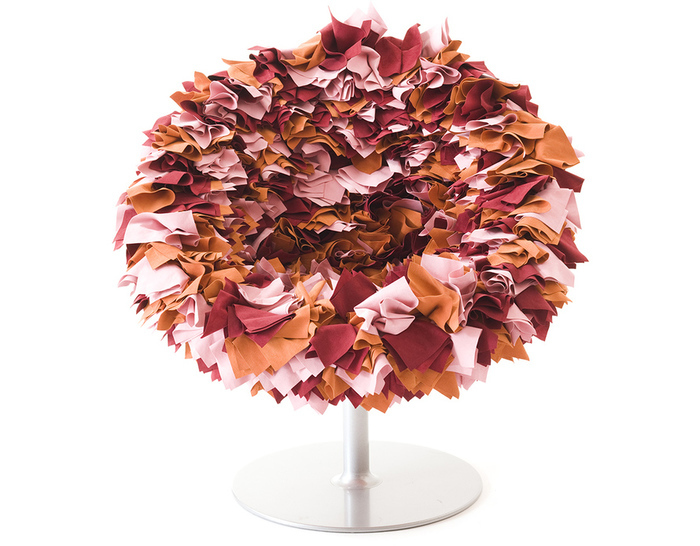 The Bouquet armchair features an injected flame-retardant foam over an internal steel frame and varnished, metallic grey steel rotary base. 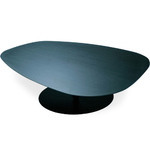 It is offered in your choice of four microfiber removable covers. 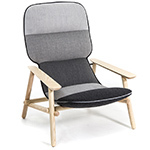 $6,310.00 + shipping in the continental U.S.
Agostino Moroso, with his wife, Diana, founded the Moroso company in 1952 with an artisanal approach to making sofas, armchairs and furnishing accessories. 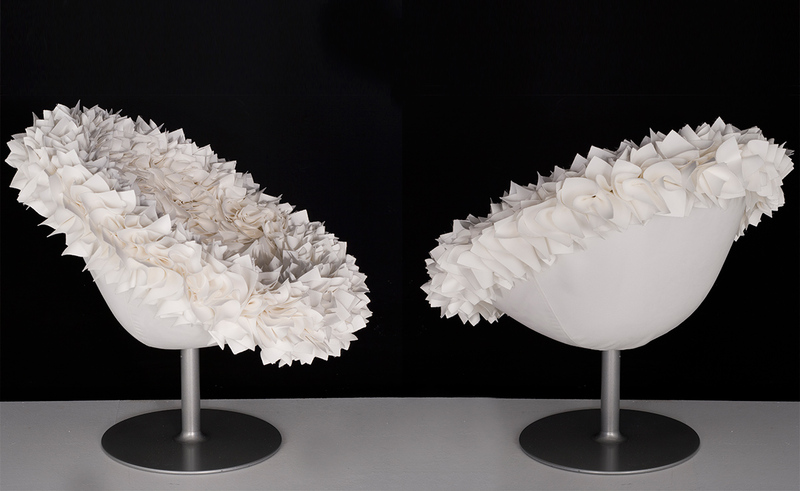 Their iconic designs have propelled them within the upholstered furniture market, with help from a long list of well known designers: Ron Arad, Patricia Urquiola, Ross Lovegrove, Konstantin Grcic, Alfredo Häberli, Toshiyuki Kita, Marcel Wanders and others. 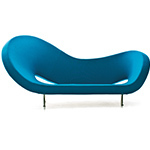 Each piece maintains a noticeable Moroso style while representing other cultures as well. 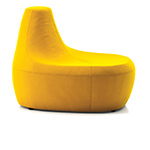 Its international outlook has landed Moroso into the MoMA in New York, Le Palais de Tokyo, the Grand Palais in Paris.